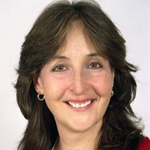 Linda Kocieniewski has a private therapy practice in New York City. She has been a psychotherapist since 1987, and has been practicing EMDR since being trained in it in 1998. Linda has an M.S.W. From the Hunter College School of Social Work and a three year Post Graduate Certificate in Child and Adolescent Psychoanalytic Psychotherapy Training. She is a Certified EMDR Therapist and a facilitator at Laurel Parnell’s EMDR trainings in the N.Y. area. As an EMDRIA Approved Consultant, Linda supervises and trains EMDR therapists individually and in groups.Linda is also an EMDR Humanitarian Assistance Program Volunteer and a member of the N.Y.C. Trauma Recovery Network, through which she helped many of her fellow New Yorkers recover from the trauma of the 9/11 attacks using EMDR. She also supervises trainees in the Trauma Treatment Program of the Institute for Contemporary Psychotherapy, and has been providing clinical supervision to therapists for many years.Linda was formerly the Clinical Director of a crime victims counseling program and two child abuse treatment programs in the N.Y.C. area, and the past Director of a NYC Crisis Response Team. She currently has a varied adult mental health practice but specializes in treating survivors of trauma; including adult survivors of childhood abuse and neglect, developmental trauma, and recent traumas, as well as providing crisis debriefing. She has a special interest and expertise in the areas of healing attachment issues.